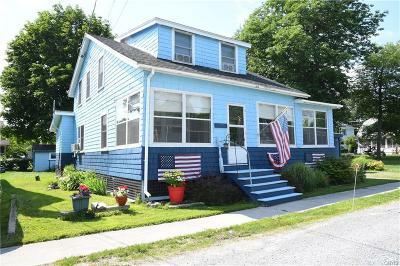 Welcome to the premier resource for Northern New York real estate, homes for sale in Alexandria Bay, waterfront property and real estate in the 1000 Islands area. I hope you enjoy your visit and explore everything my realty website has to offer, including area real estate listings, information for homebuyers and sellers, and more About Us, your professional 1000 Islands Realtor. Looking for a new home for sale in Northern New York or a beautiful piece of waterfront property? Use MLS Search or Map Search to browse an up-to-date database list of all available properties in the Northern NY or Fort Drum area, or use the Dream Home Finder form and I'll conduct a personalized search for you! If you're planning to sell your home in the next few months, nothing is more important than knowing a fair asking price. I would love to help you with a FREE Market Analysis. I will use comparable sold listings to help you determine the accurate market value of your home in Northern NY, 1000 Islands, Fort Drum and Alexandria Bay area. Call us today!